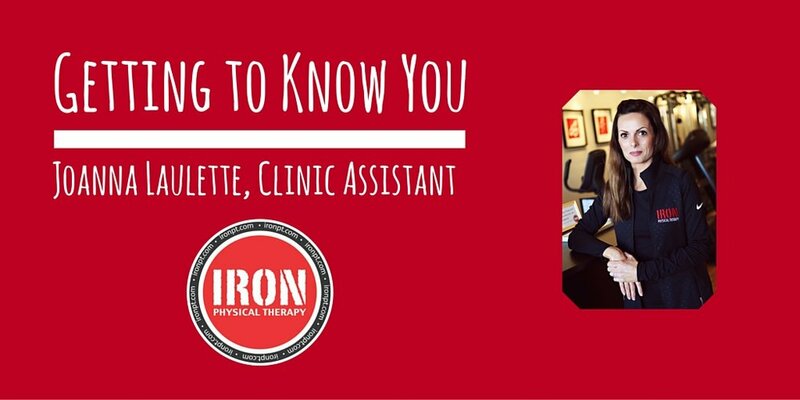 What do you like most about working in a physical therapy clinic? I love talking with patients and helping them on their journey. I love to see their progress from the moment they walk in to start PT until the day they graduate. A friendship and a connection has been formed. It's always bittersweet to see them leave. Where did you grow up? West Paterson/Woodland Park Where did you go to school? Montclair State University - Studied Human Ecology with a concentration in Fashion Studies. How do you like to stay active? From the time I wake up, I generally don't sit down until I go to sleep. I'm always moving. I also like to try to do some cardio and weights 4 days a week. I found this exercise routine in "Self Magazine" last year that I LOVE so I make that part of my weekly to do list. Hidden talent? I used to be able to play piano by ear without any lessons when I was young. One thing on your bucket list?To sing at a jazz club on stage...outfit, hair and all. lol! Who's at home? Any furry friends?I have a wonderful husband named Ryan and our two beautiful children, cats Fiona and Charlie (both females, Fiona is 7 and Charlie is 3 months old) We call Charlie "the baby." Place to Travel?Would love to go back to Hawaii!! But I also want to travel back to Europe (Switzerland, Italy and France). I was 12 the last time I went, so I'm really due to go back to see my family. Food?I love all different foods, but I will never say no to Pasta. Music Artist/Song? I'm a Jack Johnson, John Mayer, Dave Matthews Band (I will never get sick of 'Satellite") kind of Girl, but I also do LOVE Chris Botti (Jazz), Frank Sinatra, Nat King Cole, Big Crosby, Louis Armstrong, Jimmy Durante. That whole era. I'm very drawn to that time frame. I think I must have lived it in another life time. TV Show?I'm embarrassed to say but I am a "Bravo" girl. I like a lot of the reality shows. HGTV, Food Network and the Big Bang Theory too. Drink at Starbucks?Half coffee and half hot chocolate - Yum!